Company’s events : bespoke entertainments and performances to have your customers, employees, suppliers, community, … experience a day full of thrills. Team Bourny organizes, within your company premises (parking place, hall), shows, motorbike first times, car first times, stunts, traineeships, …. Your customers, suppliers, employees and friends will befriend while spending an unforgettable day together. They will be able to take a seat in the famous devices they saw on TV or on European big circuits. 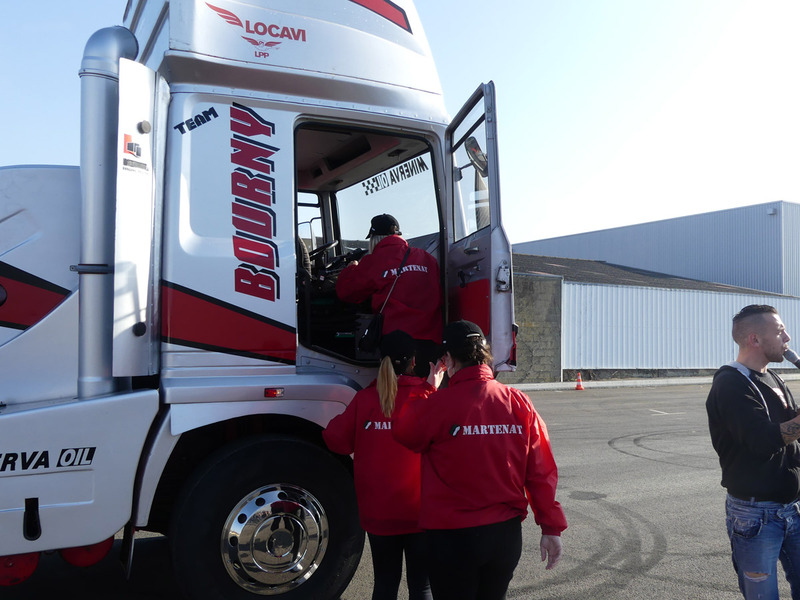 We will offer them their first time on rear wheels aboard the wheeling truck or on lateral wheels aboard BMWs. The most fearless will also be introduced to controlled skidding or quad wheeling when others will prefer to stand and watch as spectators. In any case, everyone will keep memories of this day event. The whole 15 years company anniversary organization team and myself want to congratulate on your performance. The staff and the many spectators enjoyed your quality show which had an undeniable share in this day’s success. I want to thank you most especially for your shows’ quality.